Yesterday wasn't too a productive day for the 7DRL. I ran into many issues that severely hampered my progress. I think Visual Studio's compiler may be partly to blame. I think it doesn't tolerate my shenanigans as much as the one in Dev-C++ does. The latter IDE didn't seem to like Win 8, however – it is pretty ancient after all – so I decided to try VS instead. Stupid bugs encountered include if(!mob && mob->isPlayer()) (which results in null pointer). I think my recent involvement with SQL has somehow messed up my thinking; !mob is clearly the same as mob IS NOT NULL. Today things went better. 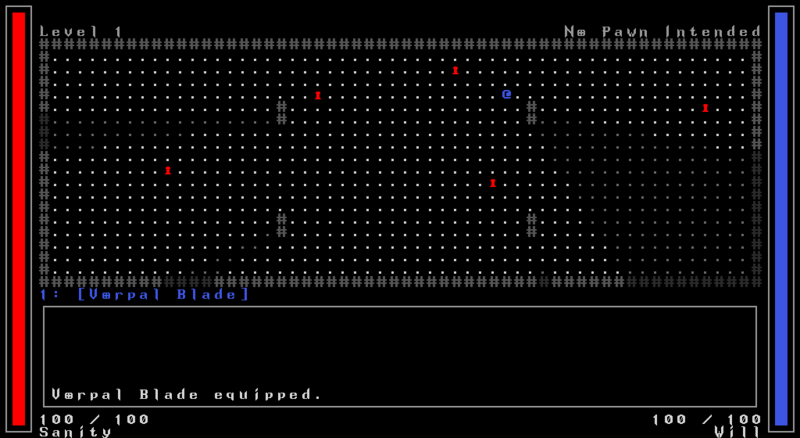 While I didn't quite get any real gameplay in yet, I think things are going pretty well. Too bad I won't have time to work on the game at all tomorrow.